In a shock move, Capcom’s crossover fighter won’t be one of the eight games played at the EVO fighting game tournament in 2018. The organizers of the Evolution Championship Series, also known as EVO, has announced the game line-up for their world championship tournament for this year. Eight games will appear at the event – and with so many fighting games out right now, some big names weren’t going to make the cut. The games were announced on a live stream then confirmed by both the official EVO twitter account and Shoryuken, a site ran by the tournament’s owners. There’s some notable absences from this list. The King of Fighters 14 is still an active, current game that’s even still getting DLC characters, but it didn’t make the cut. Nintendo’s novel fighter ARMS put in an appearance at EVO’s smaller Japanese event, but it won’t be at the main event in Las Vegas. Most notable, of course, is that Marvel vs. Capcom Infinite hasn’t made the cut. Just a few years ago EVO would’ve considered Street Fighter and Marvel vs. Capcom the two unshakable foundations of their event, but in a deeply competitive market for fighting games the flawed and clearly rushed game doesn’t cut the mustard for EVO’s standards. It surely hasn’t been helped by the release of Dragon Ball FighterZ, another excellent quality tag fighter that’s muscled in on MVC’s territory, though it’s still a shocker and surely a blow for Capcom – even the much derided Street Fighter X Tekken got two years as an EVO tournament game. On Sunday’s epic Grand Finals day the top eight competitors for Street Fighter 5: Arcade Edition, Super Smash Bros. Melee, Tekken 7, Guilty Gear Xrd Rev 2 and Dragon Ball FighterZ will feature. Last year the Sunday efforts from Smash Bros and Street Fighter were televised, and it’s likely that Street Fighter at the very least will be televised once again. 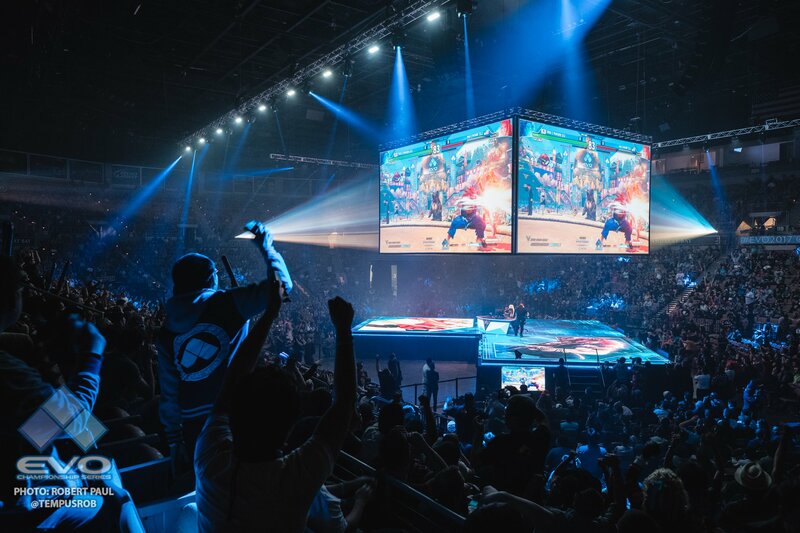 EVO 2018 is the biggest fighting game eSports tournament in the world, and it’s usually a pretty thrilling few days both in person and on stream. It takes place from August 3rd – 5th in Las Vegas at the Mandalay Bay Resort and Casino.